Meghan Markle has finished off her British royal tour in the same impeccable style she began with. 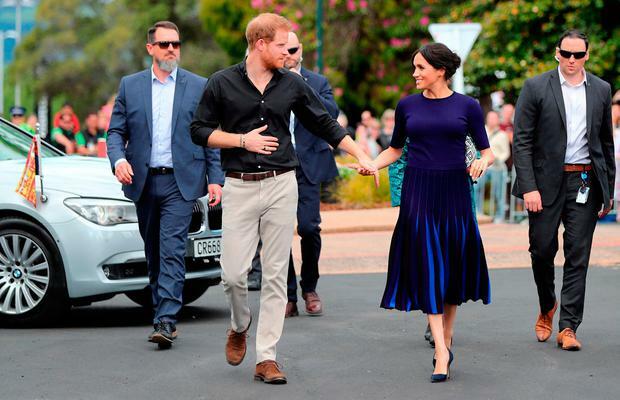 The Duchess of Sussex has displayed a sense of effortless elegance - which is of course a cinch when you have no budget for your wardrobe - during the 16 days Down Under, travelling across Australia, Tonga, Fiji and finally, New Zealand. For her final walkabout, the 38-year-old opted for a dazzling bespoke Givenchy combination: a crew neck blouse and a matching bespoke pleated skirt with gradient effect, created by her wedding dress designer Claire Waight-Keller especially for the occasion. Meghan and husband Prince Harry attended a whopping 76 engagements during their first major international tour (their two-day trip to Dublin was a walk in the park in comparison) and the budding royal style icon had a new outfit for nearly every occasion, each carefully curated to reflect the occasion; whether it was a €10,000 tulle gown with laser cut seagulls by Oscar de la Renta gown for Australian Geographical Society Awards in Sydney, an ASOS dress for €48 or a recycled Antoni Berardi midi dress for a reception with New Zealand Prime Minister Jacinda Ardern. She was also armed with a pair of trusty Manolo Blahnik or Stuart Weitzman heels, her preferred shoe designers, and in the latter days of her tour, she was never pictured without a pair of the Discologo gold earrings by Boh Runga gifted to her by Ms Ardern. 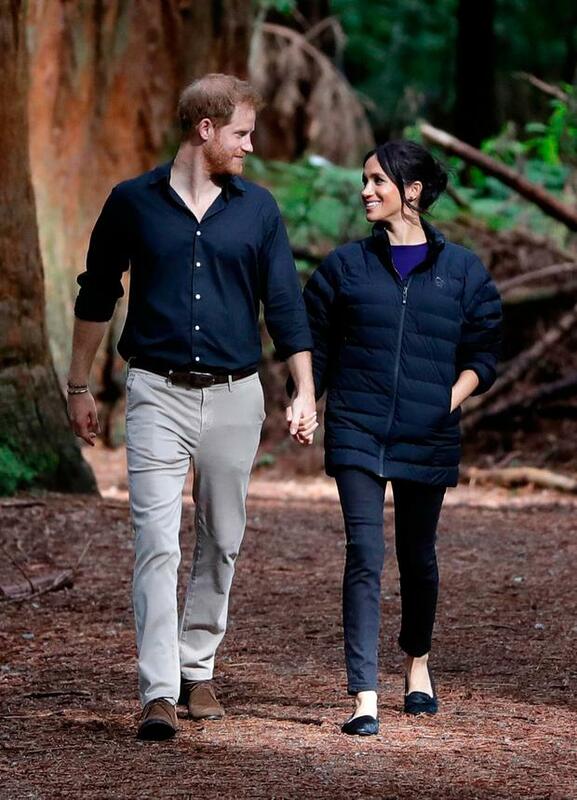 For their final day of engagements, it was another fashion hat-trick - beginning her day in another bespoke item, this time a Stella McCartney midi dress and later, for a casual walk through the Redwoods Tree Walk in Rotorua, New Zealand, it was back to where it all began: her beloved Mother black skinny jeans, the same brand she chose when her and Harry made their public debut as a couple in Toronto last year. She wrapped up in a down jacket by Norrøna Oslo, which retails for €439 and offers lightweight insulation with an athletic fit and a high collar. Her choices, overall, have been flawless, and befitting a new duchess. They are a far cry from the rumoured tiff she and Harry are said to have had back in July while planning her wardrobe and she wanted to wear a Stella McCartney tuxedo. He supposedly put his foot down. At the time, it was reported that she was "frustrated with some of the monarchy’s archaic traditions", but certainly seems to have struck the right balance with adhering to tradition and injecting some fresh life into the palace - one outfit at a time.